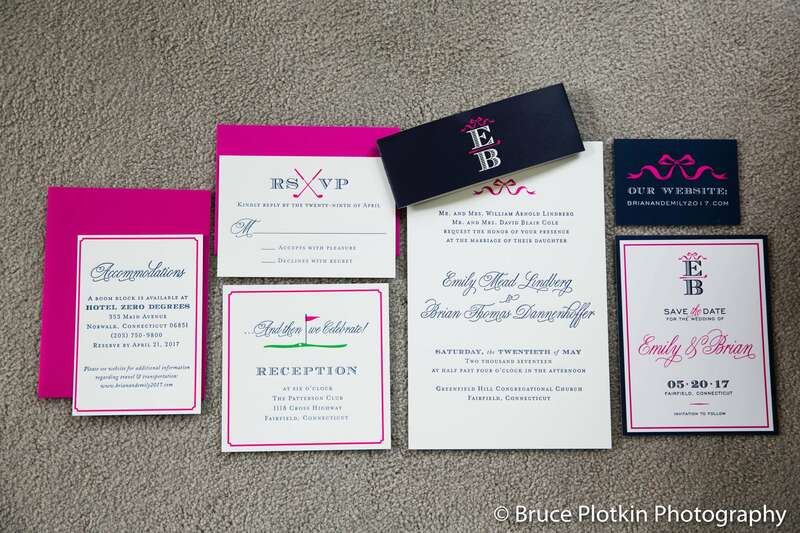 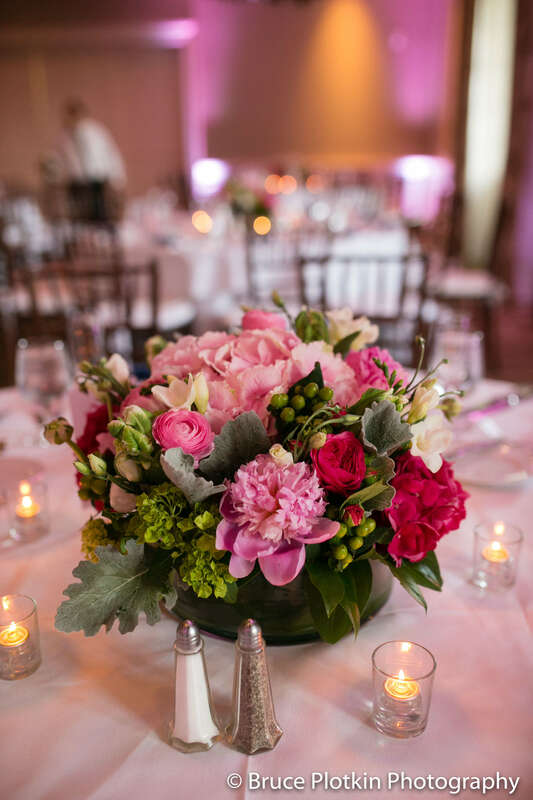 Emily and Brian came to us wanting to make their hot pink and navy golf inspired wedding, held at their local country club, a little more unique and of course, branded! 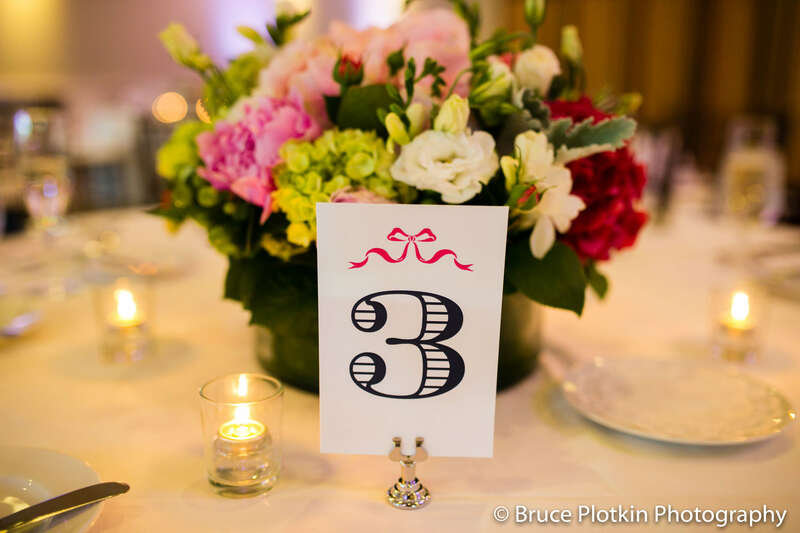 We began with their wedding logo using their first two initials and Emily loved the idea of incorporating a bow, which we loved!! 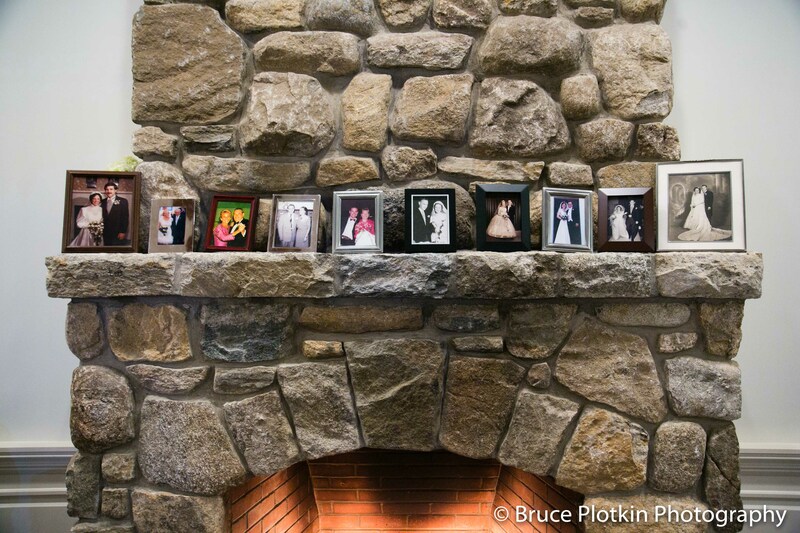 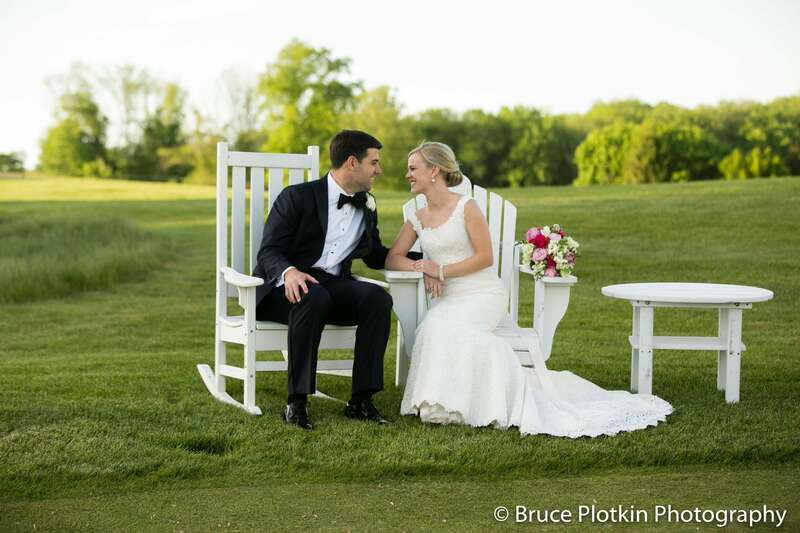 We knew we were going to tie some golf elements into other details, so this was the perfect way to balance it all out! 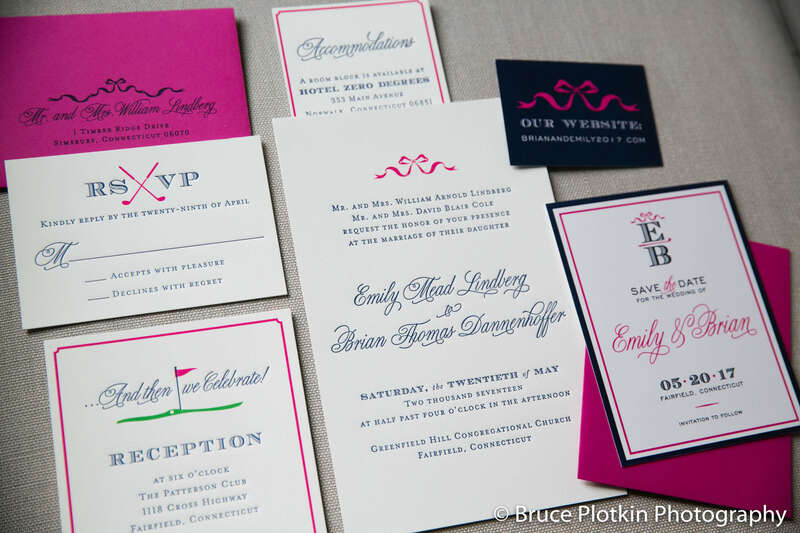 The wedding invitations we printed in navy letterpress and were topped with the hot pink ribbon image from their wedding logo. 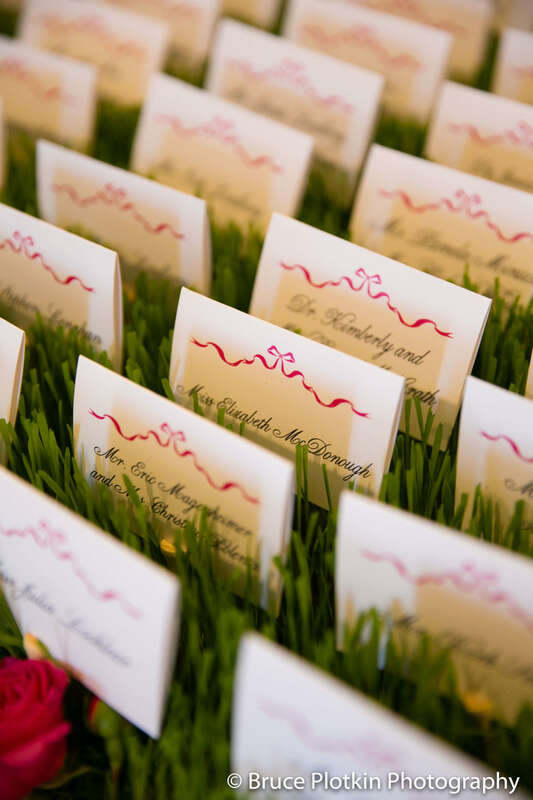 And then we used a golf hole flag on the reception card with a pop of green, for the, well, green! 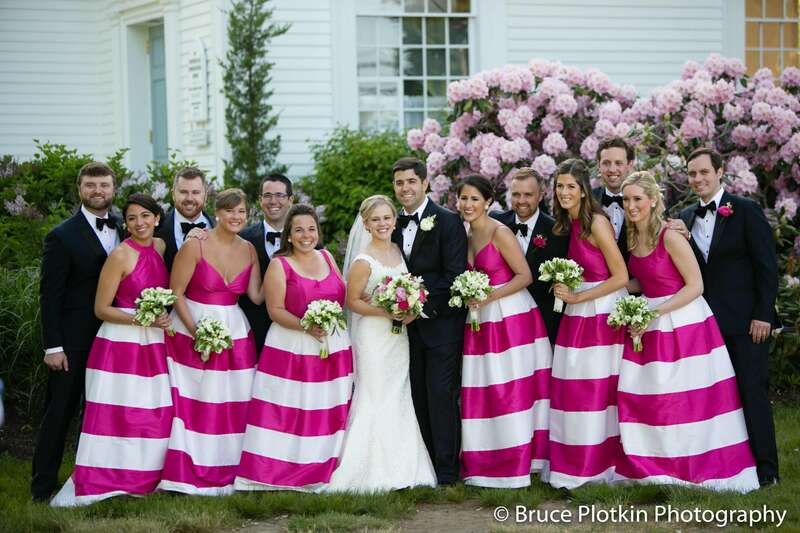 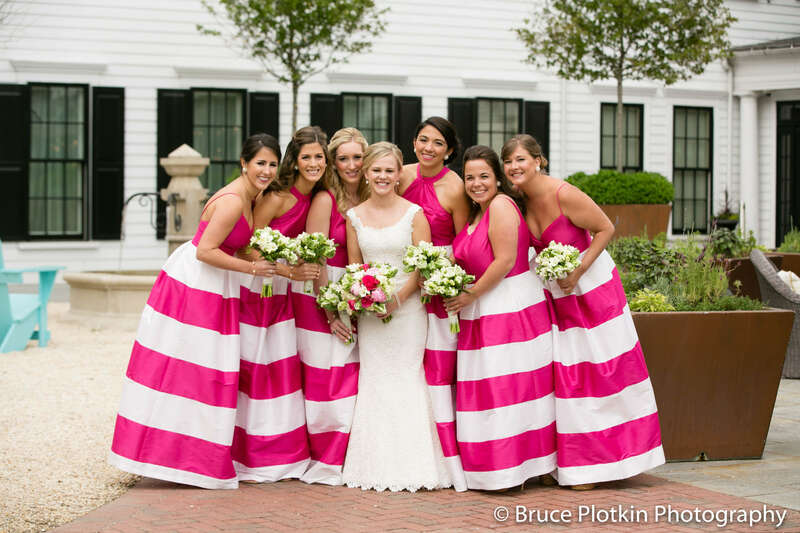 Emily’s bridesmaids wore the most gorgeous hot pink and white striped full length gowns that we cannot stop ooing and ahhing over! 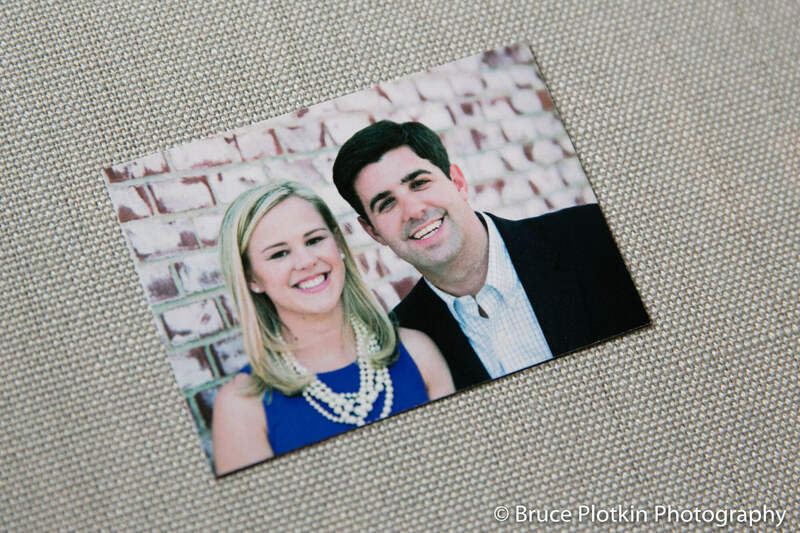 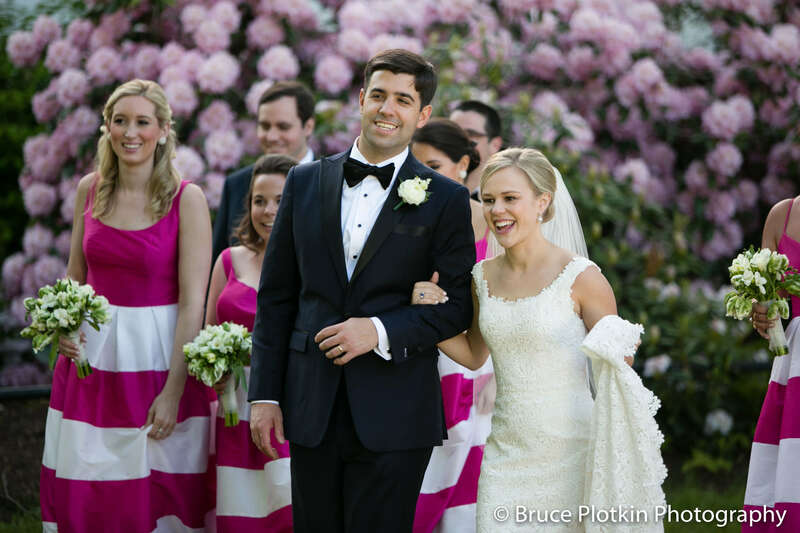 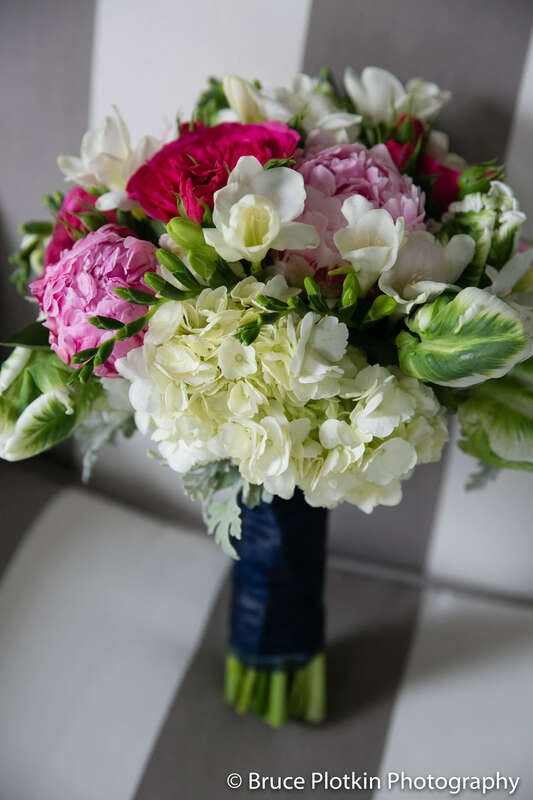 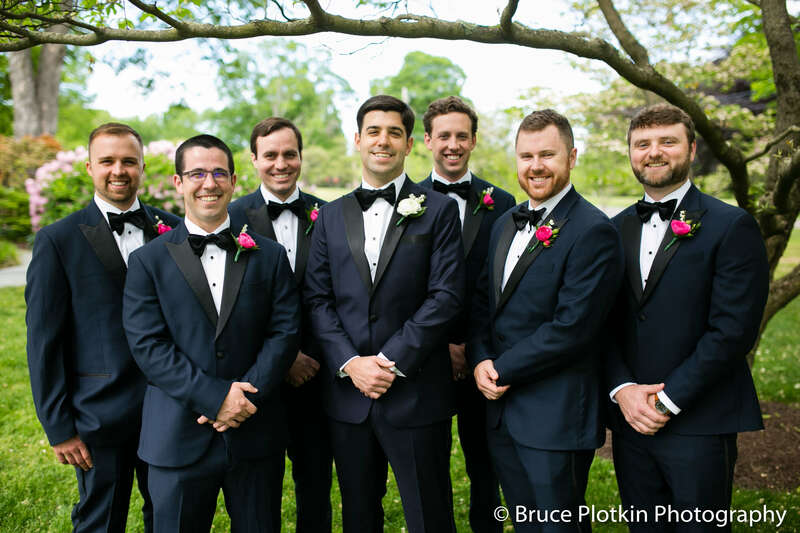 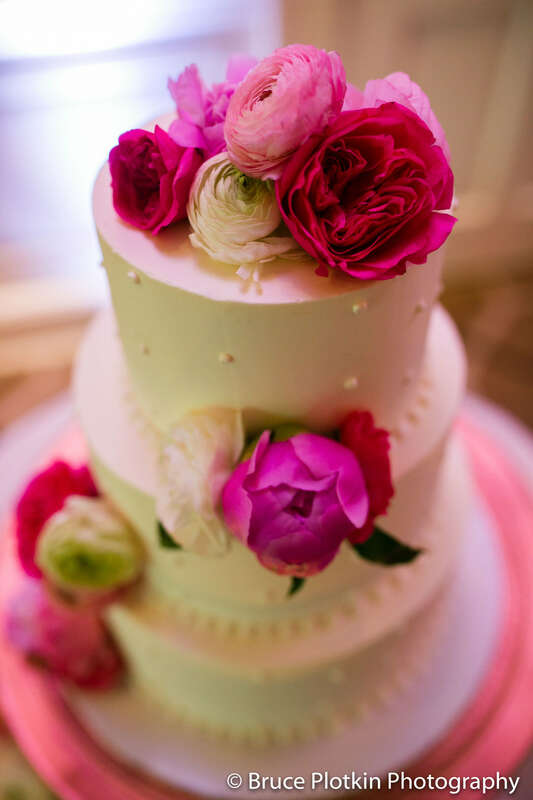 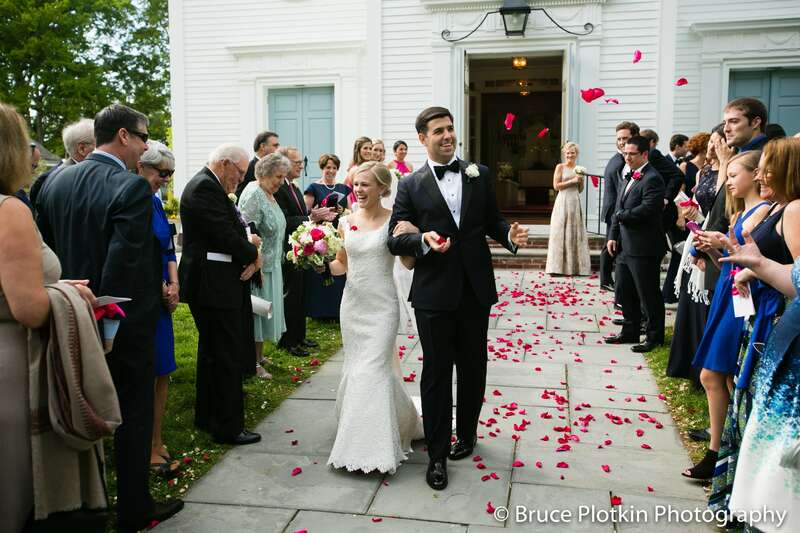 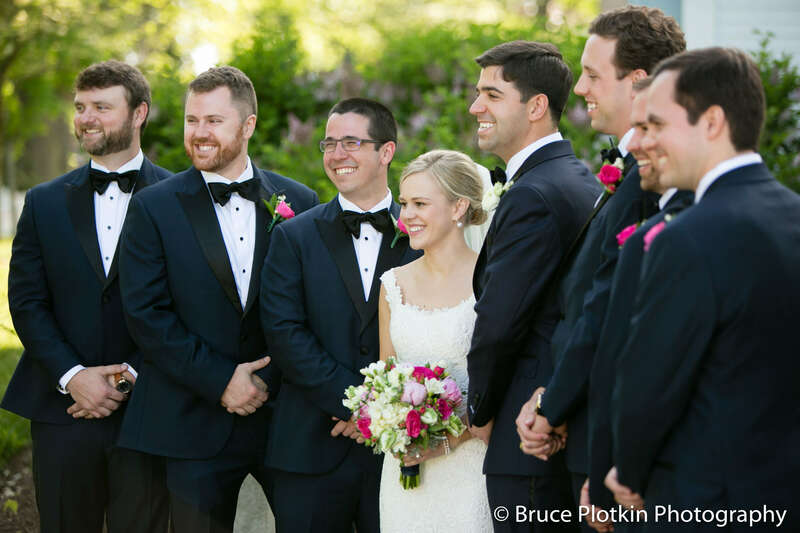 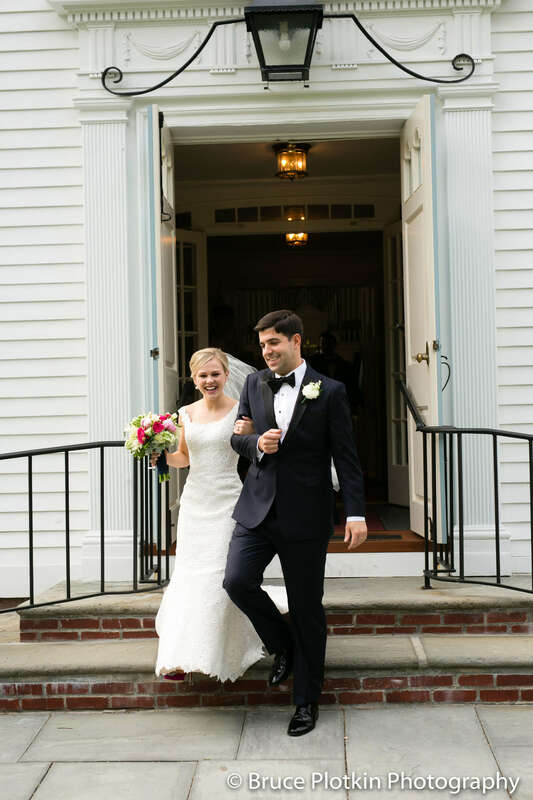 They were such a fun statement for this hot pink and navy golf inspired wedding! 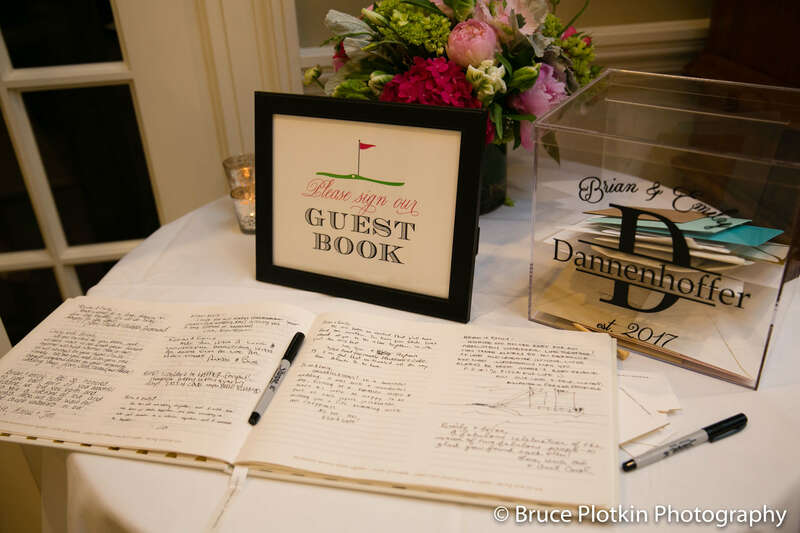 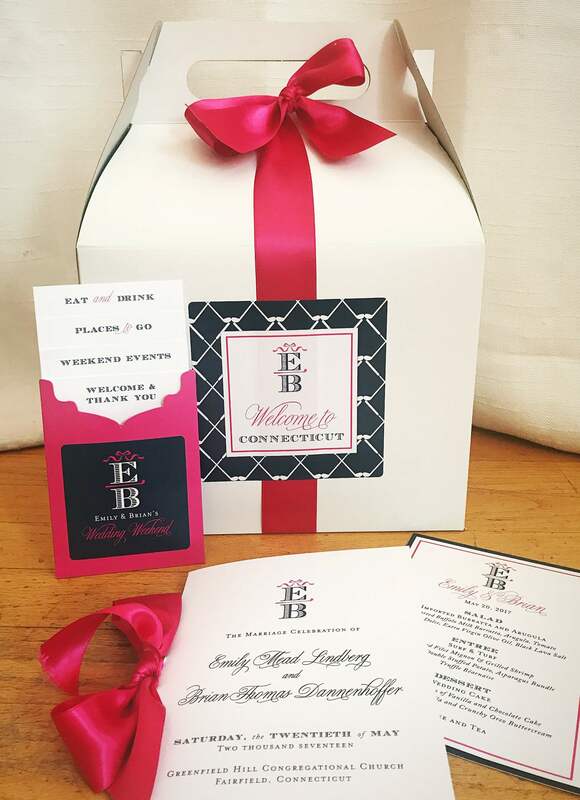 The guests were treated to a gable box full of goodies and a welcome itinerary we designed in a fun pocket, divided out by what information they included; “things to do,” “places to go,” and a welcome note and thank you! 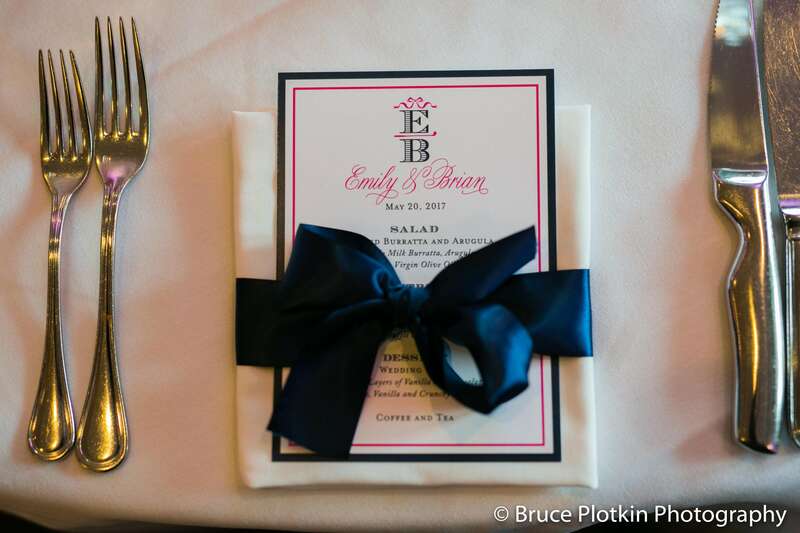 One of our favorite things was the menu card we designed, topped with the couple’s custom wedding logo, which was wrapped in a navy satin bow! 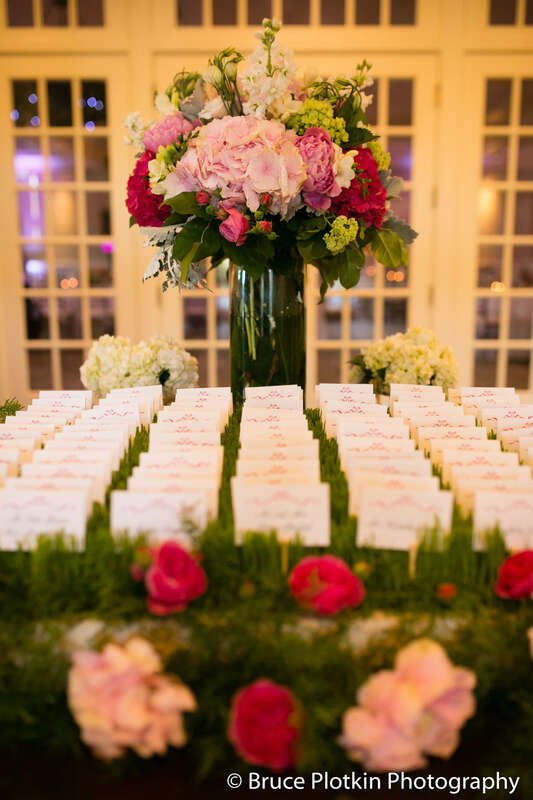 It was such a unique and festive way to adorn each place setting! 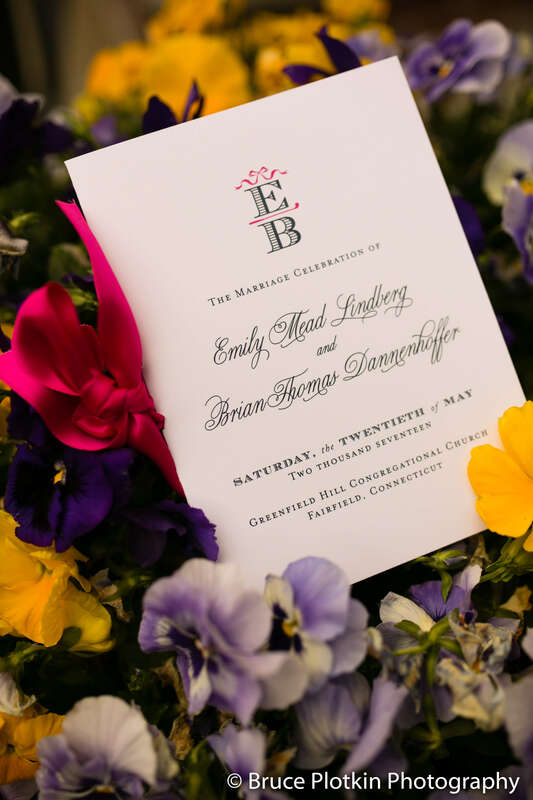 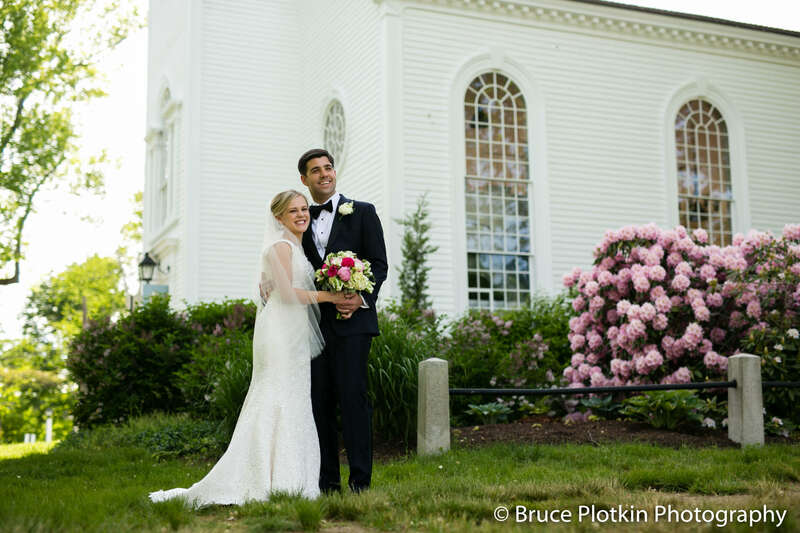 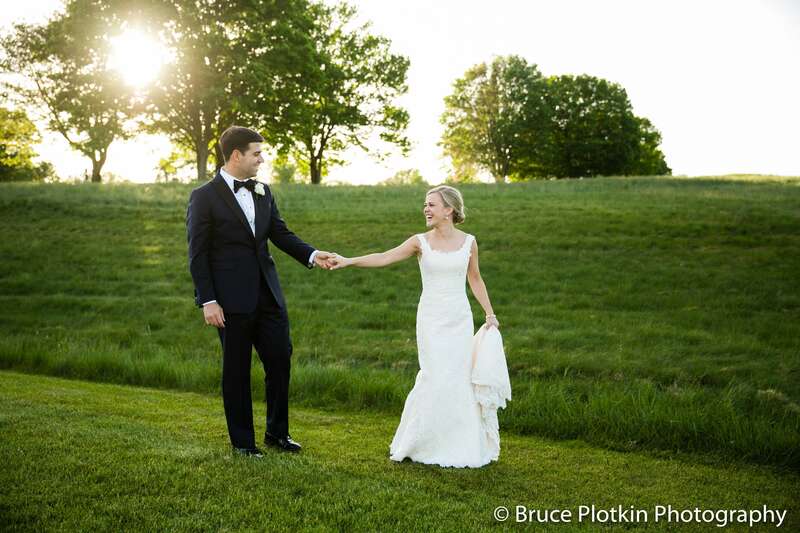 Congrats to Emily and Brian!